A 47-year-old Ranson, WV man has been charged for actions he took leading up to Friday’s shooting near the Leesburg Sheetz. Philip Stevens Dugan has been charged with malicious wounding and attempted malicious wounding, both felonies, after a disturbance that ended when he was shot by a worker at the nearby Tire Shop. 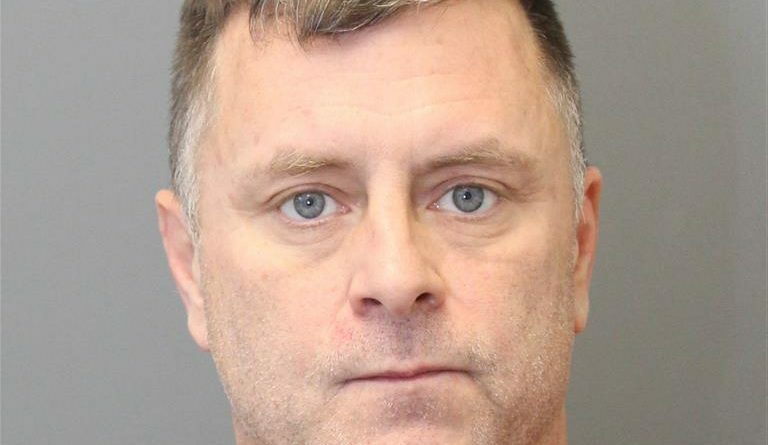 Dugan was treated at an area hospital and transferred to the Loudoun County Adult Detention Center on Tuesday. He is being held without bond. Shortly before 3:30 p.m. Friday, Dec. 8, a caller to Leesburg dispatchers reported a disorderly man inside the Sheetz on Edwards Ferry Road. He then went to the nearby Tire Shop. Police were alerted to the situation by a 911 call from the Tire Shop reporting an altercation. There, he allegedly struck at least two individuals with a mechanical tool, according to Leesburg Police Department Public Information Officer Sam Shenouda. During the altercation, the caller shot Dugan. Shenouda said the shooter continues to cooperate with detectives and has not been charged with any crime. “We are still investigating the circumstances of the shooting,” Shenouda said Tuesday. This is why we DON’T need gun control. You don’t know the whole story behind this incident. Apparently, you don’t know ANYTHING about the incident. So a deranged West VUHginian comes to the tire shop and starts a fight and gets shot by someone, but the person who shot him is described as a SHOOTER and is not charged? Something is wrong here. The man was having an asthma attack and could not speak other than to say call 911 and the attendant at sheetz ignored his requests as he could not get any air to barely speak or walk. What a pack of lies. I was there. He assaulted the girl at Sheetz and then came to The Tire Shop. He assaulted two of my coworkers. If you don’t know what you’re talking about, you should keep quiet. What is wrong. From the facts stated, he attacked two people at the Tire Shop. What did you want anyone to do, get a steaming hot coffee from McDonalds and calm him down ? Kudo’s to the “SHOOTER” for putting the assailant down.